HUNTSVILLE, Ala. — A CrossFit legal researcher who supported an Indianapolis CrossFit owner’s decision to cancel a homosexual pride workout has been fired for expressing on his personal Twitter page that celebrating pride is a sin against God. According to reports, trainers for CrossFit Infiltrate had planned a workout to coincide with this month’s Indy Pride parade in the streets of Indianapolis. However, when owner Brandon Lowe learned of the corresponding pride workout at the facility, he cancelled it. Manager Johnnie Martin soon sent out an email from ownership explaining the cancellation, which stated in general—without mentioning homosexuality—that it is the belief of CrossFit Infiltrate that pride of any kind is not beneficial to a person’s well-being. “We believe that true health forever can only be found within humility, not pride. Humility is seeing oneself as they truly are, and as God truly defines them to be. As a business, we will choose to deploy our resources towards those efforts and causes that line up with our own values and beliefs,” the email read in part. The decision soon made homosexual advocates upset, including pride workout organizer Ryan Nix, who said that a number of employees, including the manager of the gym, consequently decided to quit. “Please tell your friends not to join this place,” he also wrote. Russell Berger of Huntsville, Alabama, the now-former legal researcher for CrossFit, personally weighed in on the situation on Twitter, thanking CrossFit Infiltrate for living out their biblical beliefs. He lamented that there is a lack of tolerance for any disagreement on the issue of homosexuality. “The tactics of some in the LGBTQ movement toward dissent is an existential threat to freedom of expression. The lack of tolerance for disagreement, which has been replaced with bullying Twitter mobs promising ‘consequences,’ should be a concern regardless of your political stance,” he also opined, facing uproar from some. 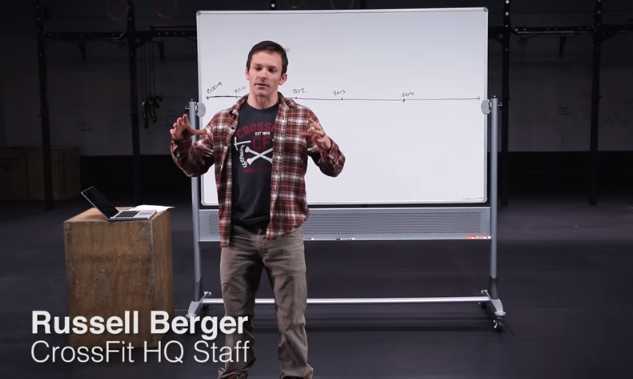 Within hours, in a tweet of its own, CrossFit announced that Berger had been fired. According to local television station RTV6, CrossFit Infiltrate also decided to close its doors. “The statements made today by Russell Berger do not reflect the views of CrossFit Inc. For this reason, his employment with CrossFit has been terminated,” it said. Some spoke out against the firing, noting the irony of the situation—that after speaking against intolerance, he himself was shown intolerance. “So just to be very clear, here: If I do not believe men taking female hormones and chemically castrating themselves is something to be celebrated, I am not welcome at CrossFit. That’s the company’s current position—is that correct?” another asked. Berger is standing by his remarks, sharing the gospel in his comments to the Washington Post on Thursday. He said despite the views of modern man, it is most hateful to tell a person that their sin is just fine, allowing them to face the judgment of God without warning. One man who was among the few preaching the gospel at Indy Pride over the weekend posted photos of the event to social media, and noted that the gathering included “women walking around with no shirt on,” “men wearing [only] underwear (speedos), gyrating around, and grinding with other men,” and drag queens “dressed in demonic looking outfits.” One photo featured two individuals dressed up as reproductive organs.